There are things parents can do to help high schoolers and soon-to-be-college students prepare for their next phase in life. As a parent, you may feel helpless throughout the college application, admissions and college transition processes. The good news is that you no longer have to feel that way! There are things parents can do to help high schoolers and soon-to-be-college students prepare for their next phase in life. After all, they will always need you – whether they express it or not. 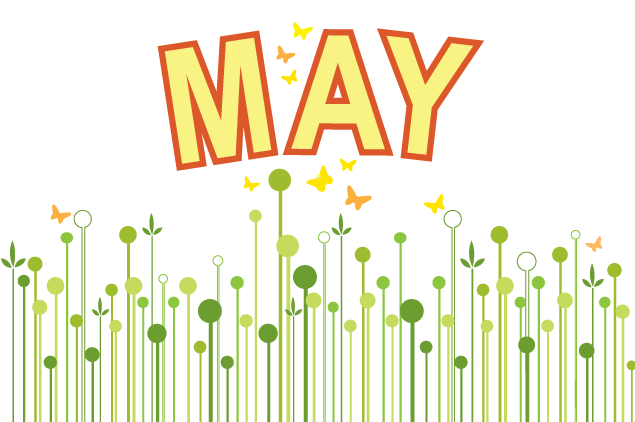 We have suggestions of what you, as a parent, can help your student with during the month of May, whether they're currently a high school junior or a high school senior. Have a casual discussion with your student regarding what he or she is looking for in a college in terms of academics, social and campus lifestyle. Assist your student in creating a list of the above factors and begin researching institutions that fit the criteria. From there, your student can begin to decide which colleges your family might like to visit and learn more about. They can start to decide which colleges they would consider applying to and consider as contenders for college choices. Encourage your student to talk to teachers that he or she has a positive relationship with about potential letters of recommendation. Many colleges require these or, at the very least, recommend students submit them. Teachers can become very overwhelmed with requests during college application season so now is a great time to do so. Help your student complete their first college application and an outline or rough draft of their essay – even if it’s just for practice. -- November: Apply for a FSA ID online so you can help your student with daunting financial aid forms. -- January: Help your student complete the FAFSA. -- March: Financial aid award letters begin to arrive. Help your student decipher what the letters are saying and contacting the schools if you have any questions or concerns. Be sure to make comparisons between different offers as well. Plan as many visits to colleges with your students as you’re able – whether local or otherwise. A campus visit is a surefire way for a student to determine if a school is the right fit. While you’re there, be sure to allow enough time for your student to take a tour, explore the campus on his or her own and, if possible, sit in on a class. Advise your student to sign up to volunteer, participate in extracurricular activities or take on a summer job – if they haven’t done so already. All of these will look great on their college applications! Help your student set up a summer savings plan so they he or she can start saving for college now. Explain that, when it comes to saving for college, the earlier they get started on saving the better! Encourage your student to begin applying for scholarships regularly now, especially during the summer, when they have down time. Attend any financial aid workshops with your student to learn more about paying for school, as this topic will become prevalent throughout the college application process. It’s the last chance to submit a FAFSA form for Federal aid this year – if you haven’t done so already! The federal deadline for the FAFSA falls on June 30 – so make sure you get yours in before then if you’d like to apply for Federal aid. The school and state deadlines typically fall sometime between February and early April, so it’s really best to submit your form as soon as possible after October 1! Advise your student to firm up their summer job and internship plans – or to find a summer job, if they have not done so already. Help your student develop a college budget – that they can realistically stick to (keyword: realistically). Encourage your student to apply for scholarships regularly, especially when they have down time. Once your student turns 18, they should begin to establish good credit. Discuss the idea of opening a credit card account with a low limit for emergencies only. Have your student check in with their high school counselor to ensure they have the correct college of choice on record and are forwarding their final school transcripts to their college. Take note of any summer orientation sessions that your student needs to attend for college and start to making plans accordingly. By now you’ve likely discussed the tuition budget, but have you discussed the other areas with your student? Start looking into your own budget and once you’ve determined the amount you’re able to contribute to your student (if anything) discuss expectations with your student regarding computers, dorm supplies as well as other financial contributions for college living so that the entire family is on the same page. It’s best to discuss now because your student will have the entire summer to work, save and apply for scholarships and look for jobs on their college campus. Come fall, most student jobs on and off campus are difficult, if not impossible to find, so knowing earlier than later is to their advantage. Encourage your student to finish high school on the best note possible. They will need those grades to ensure your admission to the college you’ve been accepted to!